Happy Monday!! 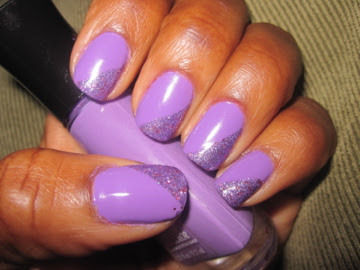 Today’s No-Chip Manicure is featuring a shade of my favorite color…purple. Can’t go wrong with that right?! 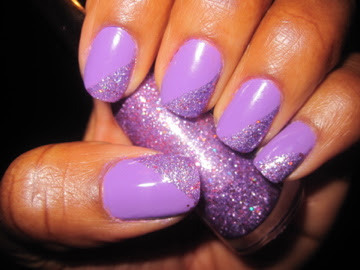 A couple months ago, I came across the new Sally Hansen Gem Crush line and fell in love. I bought three different colors and decided it was time to finally give it a try. Isn’t is gorgeous?? Can’t wait to try the other colors, you just might see another one next week! I love the subtlety of an accent on the tip but I think a full nail would have been the better choice for displaying this beautiful color. I’ll definitely be back to buy more from the Gem Crush line. Purple is my favorite color also so, I agree that it is a lovely color.